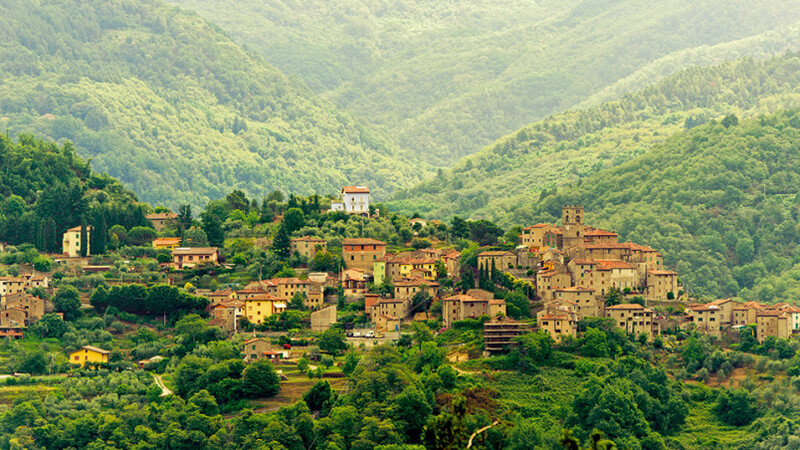 Moving further north we reach the area which is called the Switzerland of Pescia – it was given the name by Jean-Charles de Sismondi, great early nineteenth century historian and economist who picked up the similarities between the natural landscape here and that of his homeland. 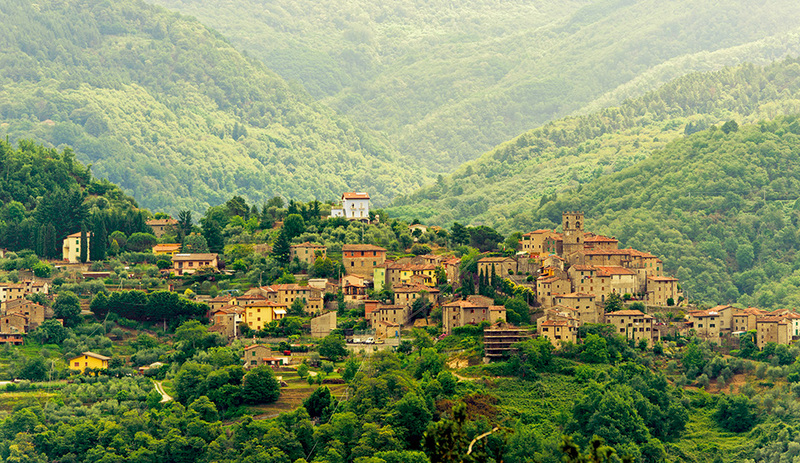 In the series of valleys dominated by the ‘ten castles ‘(Pontito, Stiappa, Castelvecchio, San Quirico, Vellano, Sorana, Aramo, Fibbialla, Medicina, Pietrabuona) there are many cases of industrial archaeology relating to the local important paper making industry which was facilitated by very pure water and the textile fibres extracted from cloth. In these places, nature, agriculture (famous all over the world, the Sorana bean, cultivated on the gravel bed of a river) and the early paper industry blend into one another. The modern day Switzerland of Pescia had all the conditions needed for paper making from the twelfth century: available raw materials and large quantities of water. These are the three fundamental factors in an absolutely top quality product which became an industry over time. The Paper Museum is to be found in Pietrabuona, recently enlarged and renovated, is important evidence of historical periods which followed closely on one another and where it is possible to visit and take part in educational workshops.